Please join the Department of Art History for the opening of Graduate Student Youngchul Shin’s Thesis Exhibition. 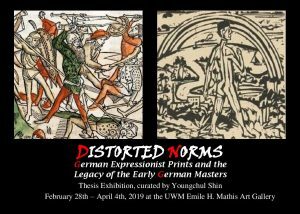 Distorted Norms: German Expressionist Prints and the Legacy of the Early German Masters explores the legacy of early German printmaking among German Expressionist artists. 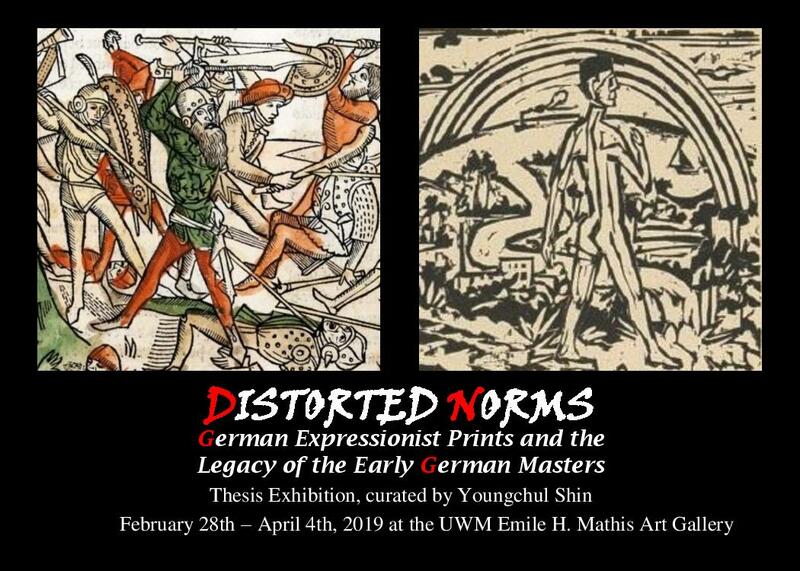 The exhibit runs from February 28 to April 4, 2019. 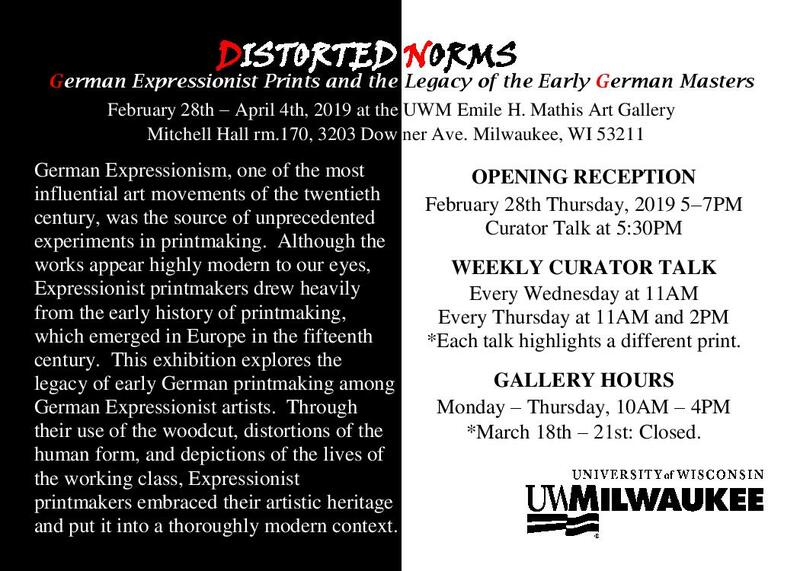 The Opening Reception will take place Thursday, February 28, 5-7pm with a talk by the curator at 5:30pm. 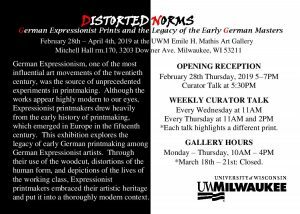 A weekly curator talk will also take place every Wednesday at 11am, and every Thursday at 11am and 2pm, highlighting a different print each time!